Ever wish you knew a secret that would help you improve your sense of well-being, and even draw abundance into your life? Stay tuned and I'll explain. 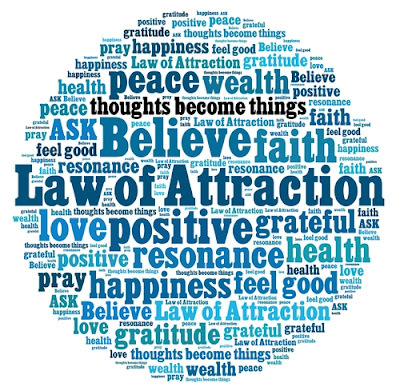 The Law of Attraction is a belief that "like attracts like," and can be applied to your thoughts, both conscious and unconscious. What you think about or dwell on multiples, and colors your emotions, beliefs, and actions. What you project is going to happen in the future, affects how you respond to life experiences. 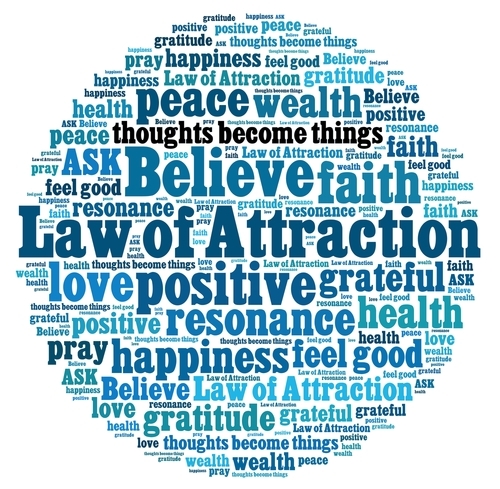 Saying affirmations aloud and using the law of attraction may help even those with doom and gloom outlooks, and convert negative attitudes to much more positive ones. Step 4: Use your present moments to activate thoughts that are in harmony with the seven faces of intention: creativity, kindness, love, beauty, expansion, abundance, and peaceful receptivity. I agree with Dyer and use affirmations and the law of attraction in my life and work with much success. I have seen others make strides using them and scientific studies show this to be true. I notice that as soon as I sit down to create new affirmations, it helps ground, center, and nurture me. 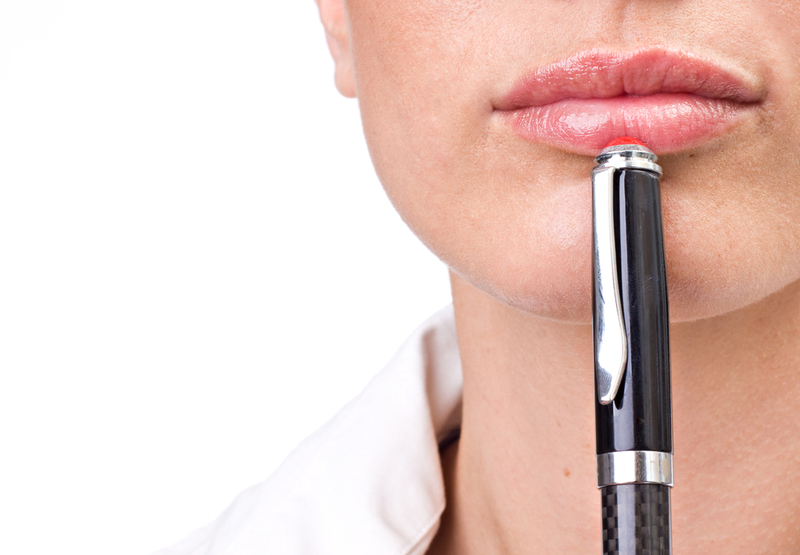 Saying affirmations aloud nourishes those vulnerable, tender spots in me that need attention. It also helps me focus on the blessings in my life, and set the intention to aim for the very best that life has to offer. Affirmations reinforce our resolve, and suggest those things we want and long for are already manifested in our lives. That's why I write or recite affirmations often... to look at the richness, love, and beauty that already exists in daily living. Affirmations are a good way for me to reduce fear of the unknown, doubts, overwhelm, and "not good enough feelings" that come up on occasion. "I learn new things about myself daily, and realize personal growth is a grand adventure." "My relationships are fluid and rewarding." "I respect and treasure others." "Each person I know helps expand my understanding and knowledge of what I want to allow in my life." "I am emotionally available to others and listen with an attentive ear and open heart." "I see and appreciate the goodness in each moment." "I take time to slow down, meditate, and participate in self-care activities daily." "I treat myself with lovingkindness every day." "I take excellent care of my mind, body, and spirit and I live happy and free." Take a moment to order Colors of Joy on my Website. 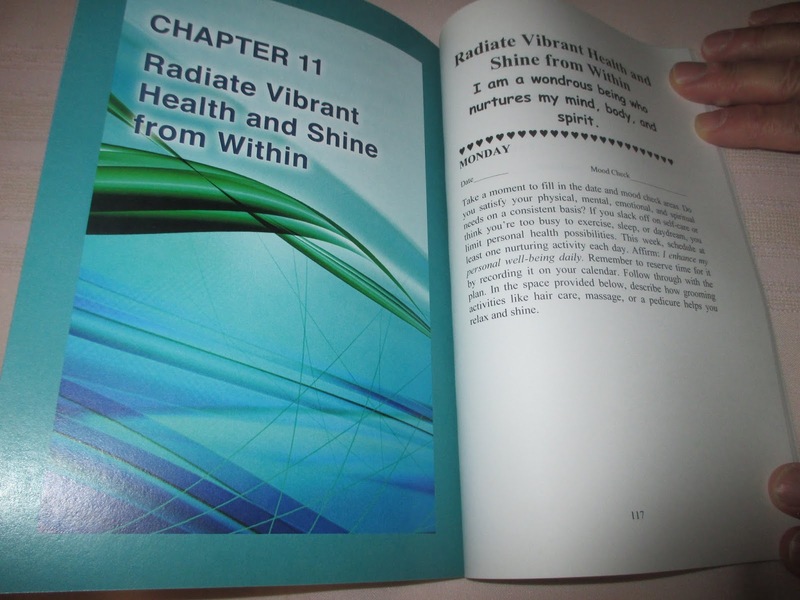 It guides you through activities that use the law of attraction. It supplies instructions for composing and using affirmations for self care and life enrichment. If you're anything like I am, you appreciate knowing affirmations are always available to you. You deserve to feel good, so reserve a few moments to say them. That's why I keep my copy of Colors of Joy handy. It's packed full of self-empowering affirmations that transform thinking. Read what journal owners say about this interactive journal by clicking on the following link and scrolling down to the middle of the page. Colors of Joy. The Colors of Joy affirmation for Chapter 11 is "I am a wondrous being who nurtures my mind, body, and spirit." The quote for today is from Wayne Dyer. "How people treat you is their karma; how you react is yours." This post has been shared at NO RULES WEEKEND BLOG PARTY #254!